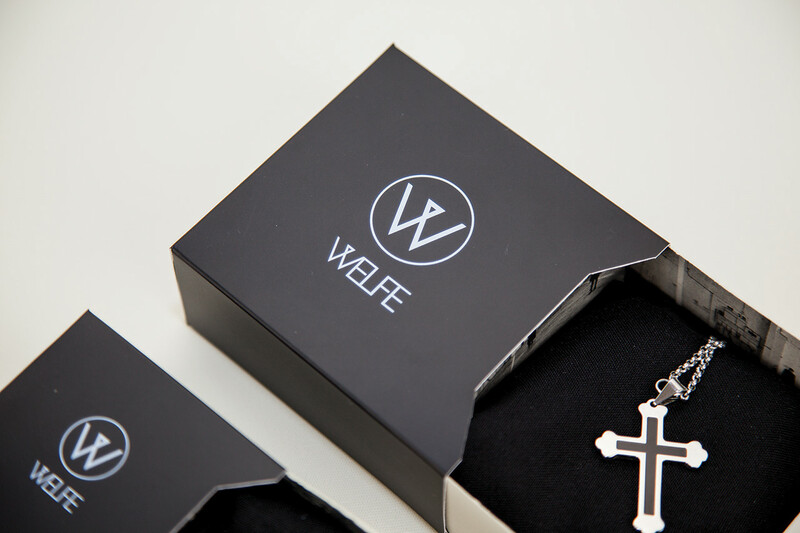 Welfe Jewellery is a Melbourne based contemporary jewellery designer. 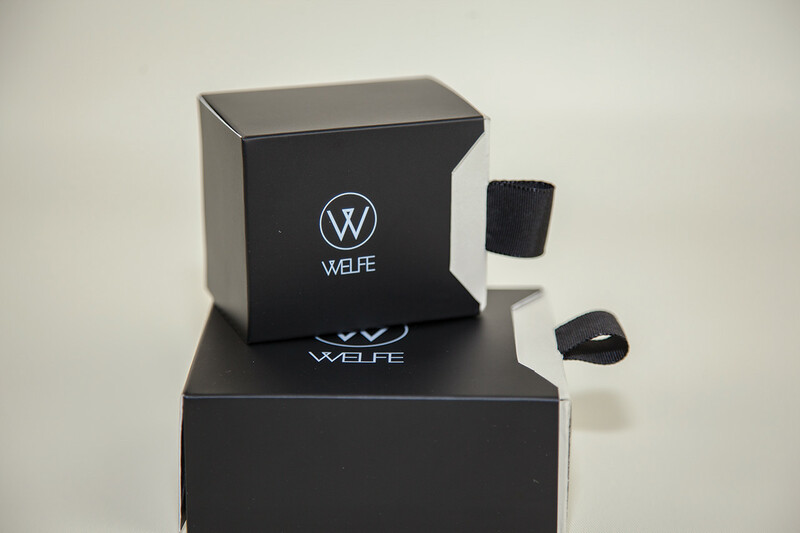 We were given a brief to create general packaging for his ring and necklace ranges. 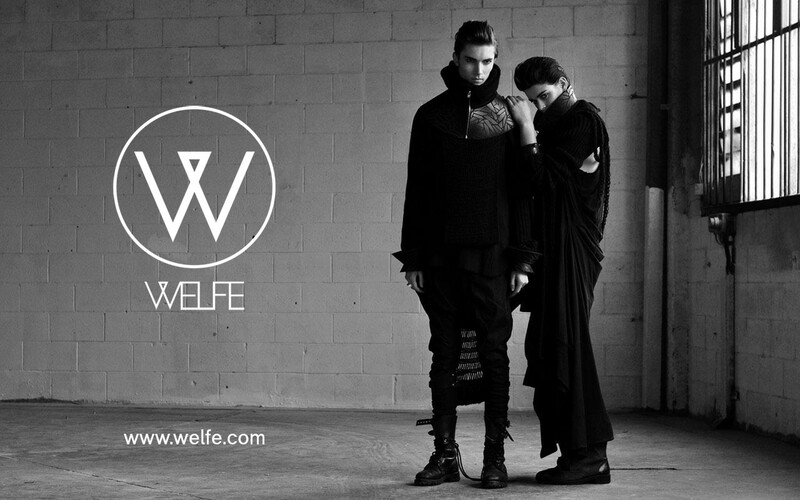 Welfe Jewellery is a Melbourne based contemporary jewellery designer. His overall color palette is black, white, grey. 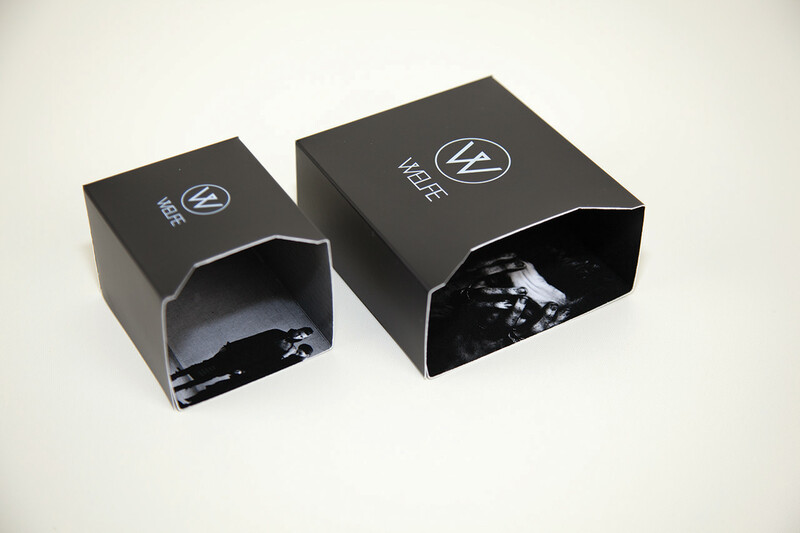 He does all the designing and crafting, so the boxes would have to be practical for him to make it. Price to make it is important however I feel you can pay a bit more to achieve a better premium box. 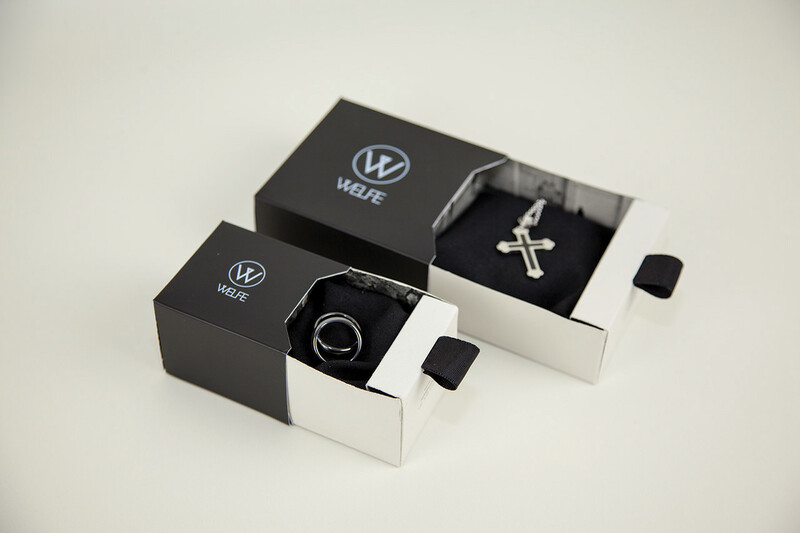 His jewellery are of high end and premium, so the customers should be receiving a box that shows that. Mine would somewhat be a bit more than his budget. 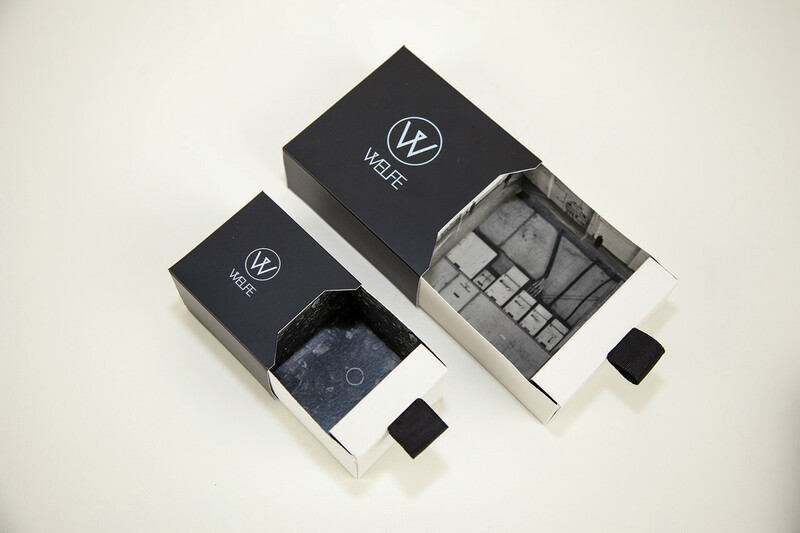 The box is layered with a matte black on the outside with white UV print on it. Inside would be quality fabric to make the cushion for his jewellery. I wanted to make a box that people could re use for future storage, because I feel sometimes the package usually gets thrown out and the re usability is quite important in a package. 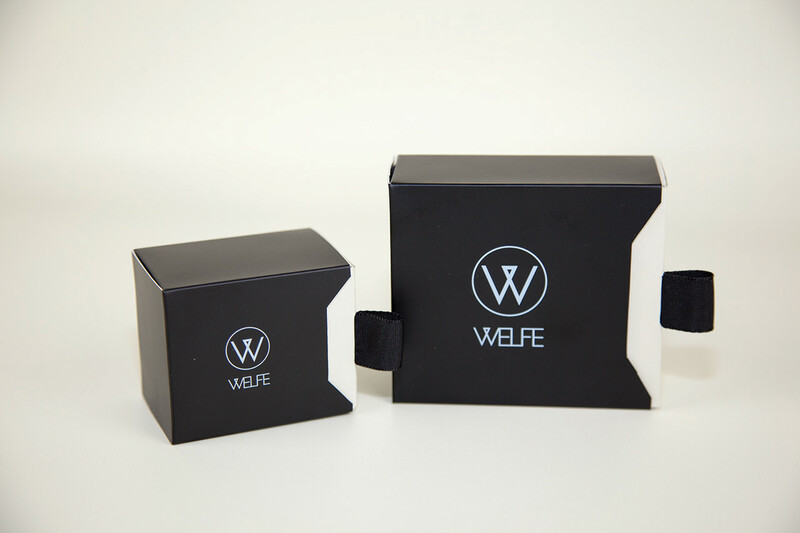 Logo and images are supplied by Welfe. The current jewellery in the photos aren't his products. To view his products, visit the site listed above.